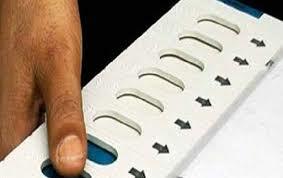 Home Latest Stories Political activities gain momentum ahead of Lok Sabha polls. Political activities gain momentum ahead of Lok Sabha polls. Political activities are gaining momentum across the country ahead of the Lok Sabha elections. The Central Election Committee of the BJP met in New Delhi on Tuesday night to discuss the names of candidates for the polls. Prime Minister Narendra Modi, BJP Chief Amit Shah, Union Ministers Rajnath Singh, Arun Jaitley and Nitin Gadkari, and other senior party leaders were among those who attended the meeting. This was the second meeting of the committee to finalise the names. The party is yet to announce its first list of candidates. In Chhattisgarh, BJP has decided to drop all its ten sitting MPs in the elections and field new candidates in all the 11 seats. This was disclosed by party general secretary in-charge of the state Anil Jain while talking to a news agency in New Delhi Tuesday. Meanwhile, the Election Commission has nominated special expenditure observers for Tamil Nadu and Maharashtra for the elections. They have been mandated to monitor the works on preventing the distribution of cash, liquor or other freebies to voters to vitiate the poll process. Social media platforms and Internet and Mobile Association of India will come up with a Code of Ethics by this evening for the parliamentary elections. The Election Commission met the representatives of these organisations in New Delhi yesterday on the use of social media ahead of the polls. During the meeting, Chief Election Commissioner Sunil Arora asked the social media organisations to come with a similar code of conduct like the model code of conduct. He cited the Model Code of Conduct as a unique and historic document which is followed by all political parties. Representatives of Facebook, Whatsapp, Twitter, Google among others attended the meeting.Elections to 543 parliamentary seats will be held in seven phases from 11th of next month till 19th May. Counting of votes will be taken up on 23rd of May. Next articleGST Council approves transition plan for new GST rates.